Weighted blankets and vests may be needed for autistic students. They are not, however, the only students that may benefit with these resources. The problem is that many regular education (as well as special education) classes are not provided with funds to purchase these for their classrooms. I found a cheaper alternative to the weighted blankets. They take up less storage space and can be made very inexpensively. 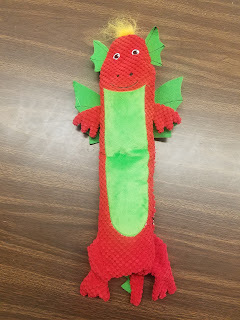 In our classroom, we having Calming Lap Toys (although I don't necessarily use the word toys with my students). This is the Calming Dragon we use in our room. Here's how to make your own. Please note that most of these materials can be found at the dollar store. I listed where I found my materials to help you search for your own. The key to these are that they have to be long. The shorter ones will not lay across the lap easily. 1. Cut on the seam of the dog toy. Pull out the crinkle paper and squeaker toy if there are any as they will drive you crazy if left inside! 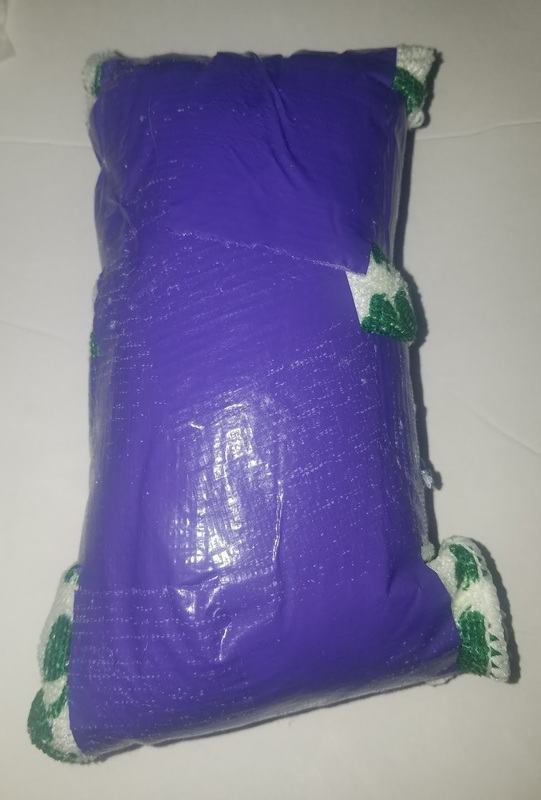 Using the seam in the middle of the dog toy is the most convenient to use. 2. 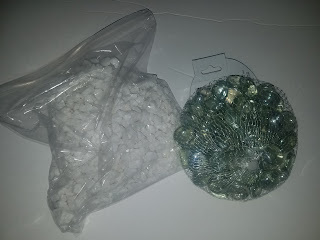 Place filler material into a plastic bag. Some materials at the dollar store include marbles and rocks. These will be covered and students will be protected. The total weight should be about 10% of a child's body weight. The typical third grader weighs 50-60 pounds so your filler should weigh 5-6 pounds. Adjust the weight based on your students. The size of the bag will vary depending on the size of the dog toy. You may want multiple snack bags or a larger size bag. 3. Tape the bag up with duct tape to make sure it will not leak. Then place that taped bag inside a dish towel. Tape this up as well to continue protecting from leaks. I do not leave anything to chance. I want the insides protected! 4. 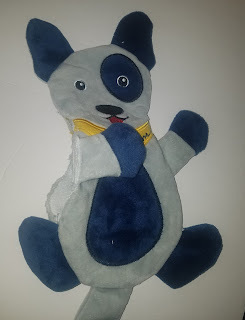 Place the bag inside the toy and sew up the side. Unless you are a great seamstress, this will not be perfect. I will not show you an up close look at my sewing! It is presentable though. Now the children can use it. These work well for students with anxiety or ADHD. I have a couple of students that respond well with these! Having the different animals are also a comfort as well. Do you have any special tools you use with students with special needs?